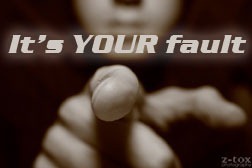 It Is Your Fault! | Albert Moyer, Jr. I sit and do nothing. The government will not help me. My poverty is my struggle. So tell me angry person.